Recollections of the ‘1/21 Incident’ | Strike - Hold! 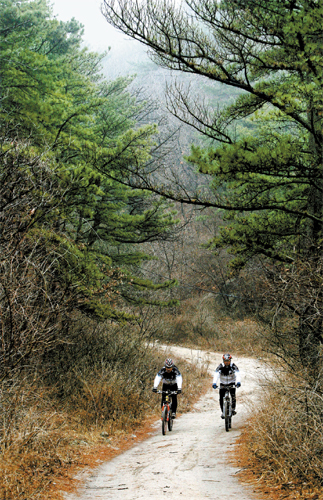 My recent winter trek across the Ui-ryeong (Cow Ear Hill) pass, an important part of the so-called Kim Shin-jo Route entering Seoul from the north, caused me and my 11 companions to ponder the “Jan. 21 Incident” 42 years ago. I still vividly remember the most outrageous post-Korean War (1950-53) incident. It took place when I was on the junior research staff at the Korea Exchange Bank (KEB). 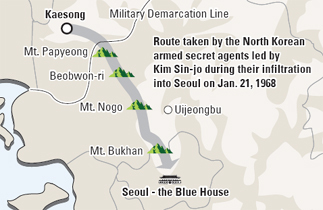 It was the result of a 31-member team of North Korean commandos handpicked from its 124th Special Forces Unit sneaking along the Ui-dong path, to assassinate the then-President Park Chung-hee at Cheong Wa Dae. They had crossed the military demarcation line four days earlier and ran through forest and rocks at a speed of 10 km per hour. 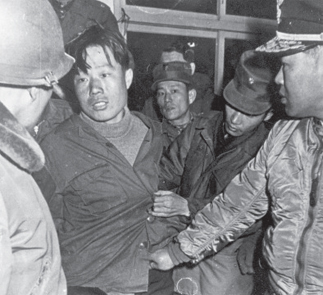 Kim, then 26, was the sole member who surrendered among the 31 armed infiltrators, while 28 of them were killed during fighting and two made it back to North Korea through the infamous Ui-ryeong pass. 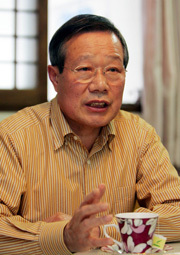 Kim later became a citizen of South Korea and married in 1970. He changed his name, became a Protestant clergyman in 1997 and was posted as a pastor of the Sungrak Church in the Mt. 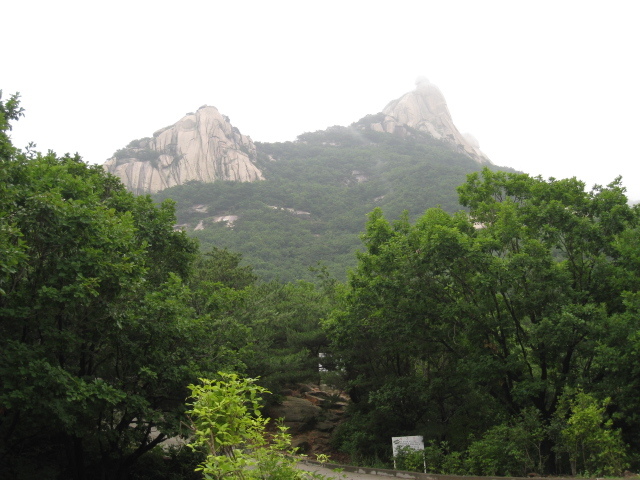 Ungil area of Namyangju City, Gyeonggi Province, in 2003. The pass divides the areas into Mt. Dobong in the north and Mt. Bukan in the south. It has been used as a southbound refugee passage for inhabitants living in the northern Gyeonggi cities of Paju and Yangju. A U.S. military engineering unit has been stationed there since April 1965, before it was finally closed to block the path to the Blue House. The “1/21 Incident” had enormous repercussions. I may dare to pinpoint two outstanding consequences in hindsight. One conspicuous milestone was the creation of the Homeland Reserve Forces on April 1, 1968. I was a member of the KEB army reserve company, and similar units exist here even now. Another historic event that took place in 1968 was the formation of the”Silmido (684) Unit,” named after a barren islet off the west coast of Incheon. 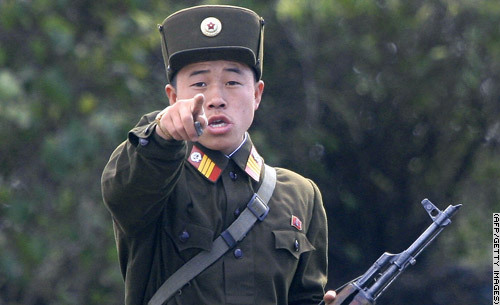 The 31 warriors of the unit were chosen from converted ex-convicts with the retaliation mission of killing then-North Korean leader Kim Il-sung. 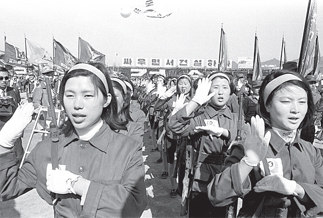 Left in limbo amid consequent inter-Korean detente, the Silmido Unit rebelled on Aug. 23, 1971. A gun battle in Daebang-dong, Yeongdeungpo-gu, Seoul, that afternoon left most of the armed deserters dead. 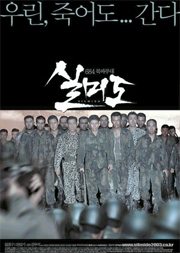 The unit’s story became widely known following the release of the movie “Silmido” in 2003. I watched the movie the following year with interest, since it was a landmark in Korean cinema history. That the two Koreas technically remain in a state of war can sometimes be felt, even these days. Needless to say, any surprise assaults from the bellicose North Korean regime ruled by dictatorial leader Kim Jong-il (who coincidentally is of the same age as Rev. Kim) should be watched out for, day or night, rain or snow, peace or tension, for a prompt counterattack. To fight North Korea’s constant threat of nuclear weapons and other weapons of mass destruction as well as illegal trafficking of drugs and even bogus dollars, South Korea will need to remain doubly attentive. At the same time, ideological conflicts and social splits among various classes and sectors of South Korea should never be allowed to impede the development of a free, capitalist state in the southern half of the Korean Peninsula. The Ui-ryeong pass is now only open to the public for limited times, from 9 a.m. to 4 p.m. At night the Ui-dong path comes under the heavy control of a police detachment and an army protection outfit. Such tight security reminds me of the serious need for national defense, as well as the need to be fully prepared for any unanticipated action from the warmongers in the North, like the incident that broke out here 42 years ago. It is crucial for South Korea to be ready for preemptive action as well as to maintain perfect defensive posture, as reminded by the Kim Shin-jo route on which I stood during this unusually cold winter, like that of 42 years ago. The writer is an outside director of KunWha Pharmaceutical Co. Ltd. in Seoul. You’re currently reading “Recollections of the ‘1/21 Incident’,” an entry on Strike - Hold!